Řada učebnic gramatiky MyGrammarLab kombinuje tištěnou knihu, online obsah a extra cvičení ke stažení do mobilních zařízení. Gramatické jev jsou vysvětleny přehledně a srozumitelně a jejich pochopení napomáhají i fotky a obrázky. Řada je určena pro přípravu na maturitu a zkoušky PET, FCE a CAE. Kniha obsahuje přehledné a srozumitelné vysvětlení gramatických jevů a příklady pro použití gramatického jevu v kontextu. Obsahuje rovněž různé typy cvičení a vysvětlení běžných chyb. Na online software najdete videoprezentace, několik typů testů, rozšiřující cvičení, automatické známkování a feedback, cvičení na výslovnost, poslechová cvičení a přístup do online módu (po aktivaci dostupné na 24 měsíců pro studenty a na 36 měsíců pro učitele). Aplikace na mobilní zařízení je ideální pro extra procvičování např. při čekání na autobus nebo během cestování. How do you like MyGrammarLab? Exellent! Easy-to-use and very effective. Learning and teaching grammar has never been more fun.What do you find most efficient in working with MyGrammarLab? Probably the most important aspect is the grammar in context - or grammar in live language. Secondly, the "mirror method" (explanation on the first page and practice on the second page) has proved to be very successful among students and MyGrammarLab has improved it in many ways. 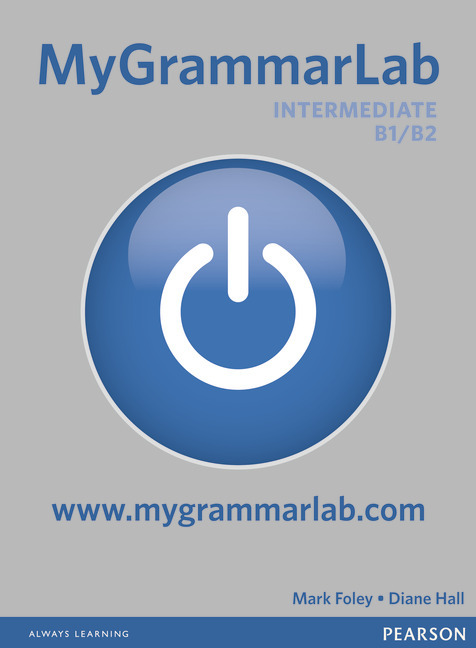 Would you reccomend MyGrammarLab to your students/ your colleagues? Yes, I would definitely recommend MyGrammarLab to anyone who is interested in developing their language skills at any level. Last but not least I hope that more and more teachers will be using it to accompany their lessons. I am very happy with the course MyGrammarLab. We have also bought the books for our students. I definitely recommend it to my colleagues! I really appreciate the clear arrangement, well-presented grammar with examples and very nice online explanation (with native speakers and examples). Students are excited about doing the online exercises. It is great that they are able to listen and check correct answers and do the phonetic exercises, as well. Other advantage of working with MyGrammarLab is learning new vocabulary. I really like the test results, percentage of successful answers and the possibility of doing the exercises again. Thank you for the seminar where I was able to try the MyGrammarLab. I am looking forward to participating in other event from Pearson.